Hyderabad is emerging as one of the commercial and residential hubs. The city has become a favourite destination for home buyers, due to the Government policies such as affordable housing, RERA, GST and developing infrastructures like laying of CC roads, flyovers, foot over’s, metro parking, and AC bus stop. Many reputed builders have utilised the market opportunities to its maximum potential and constructed beautiful residential apartments for sale in Hyderabad with excellent facilities for a comfortable stay. Residential Apartments in Hyderabad are available in prime locations like Gachibowli, Madhapur, Nanakramguda, Kondapur, Manikonda, Nagole, Uppal, Kompally, Nizampet, Pragathi Nagar, Ameenpur, Chanda Nagar, Kukatpally, LB Nagar, Attapur, Adibatla, Miyapur, KPHB and many more at a nominal price. The apartments for sale in Hyderabad are available from 278 to 9000 square feet sizes to meet the varied requirements of buyers. There are plenty of prominent schools, hospitals, shopping centres, shopping malls, eateries in its vicinity for a comfortable stay. There are a total of 775 apartment projects with 53981 units for sale in Hyderabad. Most of these apartment projects are of reputed builders like EIPL, Muppa Projects, Akruthi Constructions & Developers, Hallmark Builders, and others. Besides this, flats for sale in Hyderabad are available in 1BHK, 2BHK, 3BHK, 4BHK, 5BHK+ sizes. The apartments in Hyderabad are built with excellent modern amenities such as lifts, swimming pool, yoga and meditation hall, 24/7 security, Manjeera water supply, clubhouse, jogging track, multipurpose room, intercom facilities, power backup, indoor games, amphitheater and bore water. There are 431 under construction and 431 ready to move apartments for sale in Hyderabad as on 21-04-2019. SBI, ICICI, Axis Bank, HDFC, and UCO are sanctioning loans for these apartment projects. Apartment projects are categorised under standalone, semi-gated and fully gated apartments for sale in Hyderabad. The price of apartments in Hyderabad ranges from Rs 12.7 Lakhs to Rs 12.7 Lakhs at Rs 12.7 Lakhs to Rs 12.7 Lakhs per square feet. 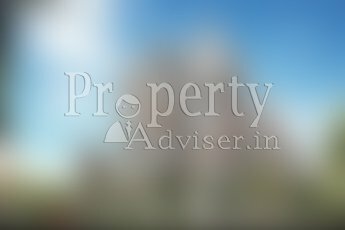 Most of the popular projects are EIPL Apila at Gandipet Road, Muppas Alankrita near Outer Ring Road, Venkatadri Towers at BD Road, NCC Urban Gardenia near NASR Boys School, and Hallmark Vicinia beside ORR. The availability of 775 apartments in different sizes at affordable rates helps you in choosing a unit that matches your needs and requirements. Also, there are many schools and hospitals with the latest technology that has urged the buyers especially families with young children and elder parents to settle down in Hyderabad at a beautiful home for a happy living. Want to find tll the apartments for sale in Hyderabad at affordable prices? Being a pioneer in the real estate data directory creation, the property adviser team has helped a lot of home buyers to find their perfect home as per their necessities. Pave the easy way to reach your dream home at Property Adviser.